I was not an Amy Winehouse fan. I obviously knew her music, but, like many people, I was more aware of her infamy than her talent. Then, tonite, I saw “Amy”, the new biodoc about the singer, and that all changed. Told mostly in her own words, shown mostly in home or cell phone selfie video, and interspersed with sparse usage of talking heads and audio soundbites from those who were there, Kapadia (who directed the incredible “Senna”) has crafted an enthralling, heartbreaking, and ultimately, devastating record of a singular talent. And while, yes, it’s an old story of how fame, drugs and success, can destroy a life, it seems much more personal than most…like we’re watching a tribute to a close friend…and, as we know how it’s going to wind up, you become desperate to stop the narrative before it arrives there. 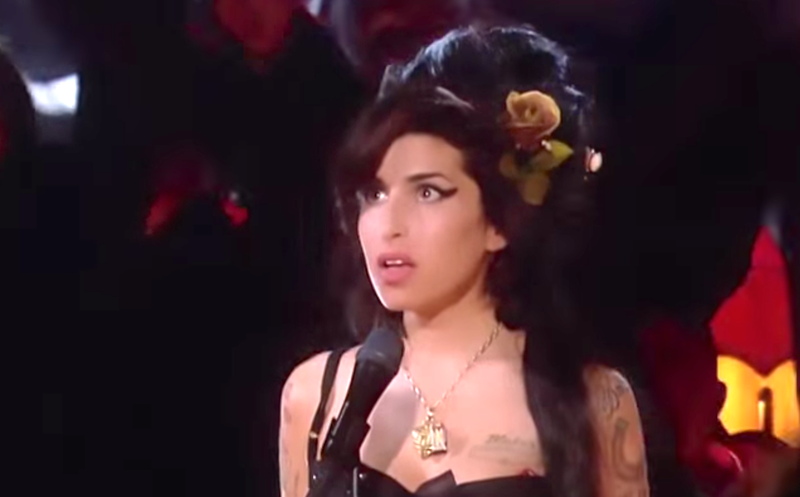 What’s most amazing are the scenes of a very young Winehouse singing…and how breathtaking a jazz singer she was. What’s most dismaying (and damning) is how certain people in her life completely missed (or purposefully ignored) what was quite obvious to everyone else. Technically, the film is well paced and has no moments of tedium that afflict so many rock bios. It begins to feel long toward the end, but only because it IS long, clocking in at 2:08, but just as you start to notice, we get that horrible payoff we’ve been hoping to avoid. To sum up…I thought it was really well executed and horribly affecting. And, most complimentary to the film, I came home and immediately purchased her two albums. If bio docs are your thing, this will be well worth your time whether or not you are a fan.